YSL do some of the most beautiful products out there on the market and this cream eyeliner in the shade Gold Lamé couldn't be more perfect for New Year's Eve. At €29, it can be used as a shadow, blended across the eyelid, as an inner corner highlight or my favourite, as a sleek and elegant slick of liner along the top lashes. 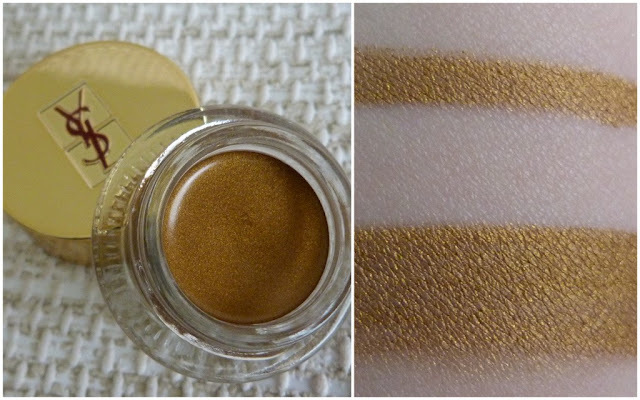 It's so creamy and pigmented and forget about only being able to use a shade like this at Christmas, imagine this during the summer with a tan. I'm not the best at doing winged eyeliner but look what I was able to achieve in a couple of minutes. The creamy formula means there's no tugging or dragging along the delicate skin of your eyelids, giving you an even, precise line. I was able to do a thin line and easily build it up to something more dramatic. It's New Year's Eve, go big or go home! Team this gold liner with flawless skin and a red lip and you are good to go this New Year's Eve! Love this eyeliner. The golden color is very pretty. ooh that is just stunning! I love the packaging. 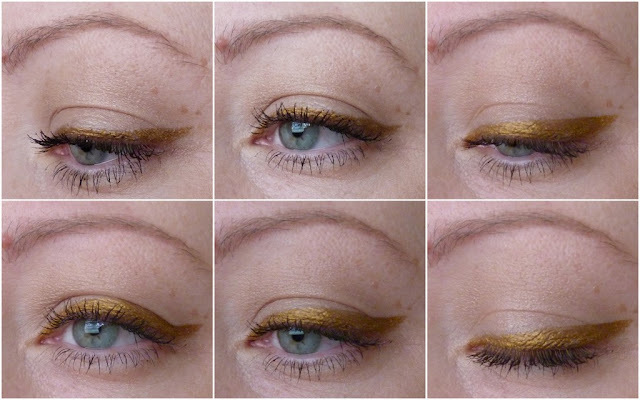 The gold eyeliner look is really stunning!